Corn is good for you. 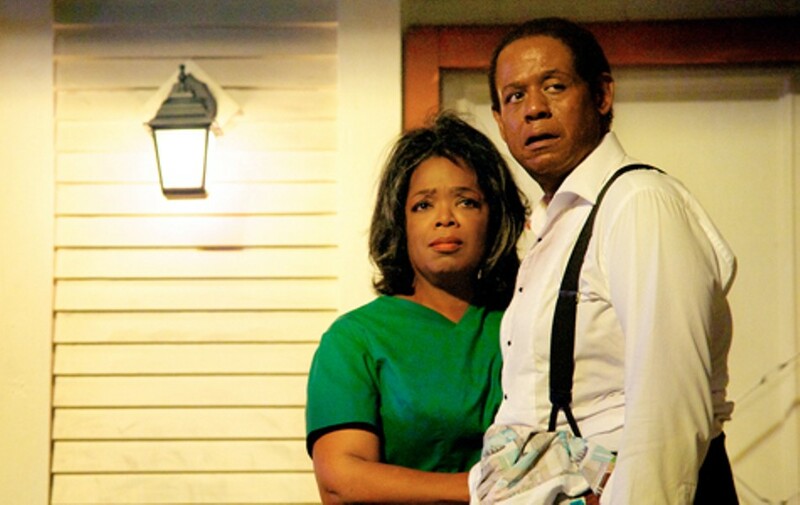 Oprah Winfrey and Forest Whitaker in Lee Daniels' The Butler. Directed by Lee Daniels. With Forest Whitaker and Oprah Winfrey. Opens Friday. We were expecting Lee Daniels' The Butler to be slightly corny in its story of an African-American domestic who served seven US presidents. And it is. Fortunately, director Daniels' historical drama — written by TV vet Danny Strong, adapted from a Washington Post feature by Wil Haygood, based on the life of Eugene Allen — has the good sense to be set in the action-packed Civil Rights/Vietnam/Watergate/Reagan era, 1957-1987. That tumultuous period is seen through the experiences of Cecil Gaines (Forest Whitaker), who leaves the cotton fields and violent racism of North Carolina for Washington, DC and gets a plum job waiting on dignitaries in the White House. Cecil faces subtler forms of discrimination there, and his devotion to the rules of public service endangers his relations with his wife Gloria (Oprah Winfrey) and their two sons. Just as black Americans are beginning to assert themselves, he takes a subservient backseat. The butler is caught in a classic moral dilemma. In order to provide for his family he must endure being an "Uncle Tom," meekly tiptoeing past oblivious white politicians while pretending to have no opinions of his own. Cecil is no Malcolm X. His choices are a matter of survival, and that two-faced bowing and scraping leaves a residue of guilt and shame. When their son Louis (David Oyelowo) joins the Civil Rights Movement it's almost as tragic for Cecil and Gloria as their son Charlie (Elijah Kelley) enlisting to fight in Vietnam. The private side of Cecil's life is stocked with as many colorful characters as the public side, beginning with Whitaker and Winfrey's broad, generous performances and continuing with Terrence Howard, Cuba Gooding Jr., Mariah Carey, Lenny Kravitz, Pernell Walker, and Adriane Lenox as family and friends. The parade of big shots is led by John Cusack as Richard Nixon; Liev Schreiber as Lyndon Johnson; Alan Rickman, a surprising ringer for Ronald Reagan; and Jane Fonda as Nancy Reagan (!). Daniels has made three completely different movies in a row: an inspirational urban horror story (Precious), a nutty Pete Dexter "Southern" (The Paperboy), and now this, which comes perilously close to being the African-American Forrest Gump — but which also functions as a somber, ultimately hopeful sidelight on the national disgrace of racial inequality. It's fine that the history lesson has entertainment value, however. Sometimes corn is good for you.